Wikipedia is the world’s favorite and most used reference publication. The Wikipedia is a web-based, multilingual free encyclopaedia-the single largest most popular general reference publication. If you as an individual or an entity aspires to have a presence, then Wikipedia is the place for you. In the past the Encyclopaedia was a print publication and limited to few individuals as not many could afford the price. 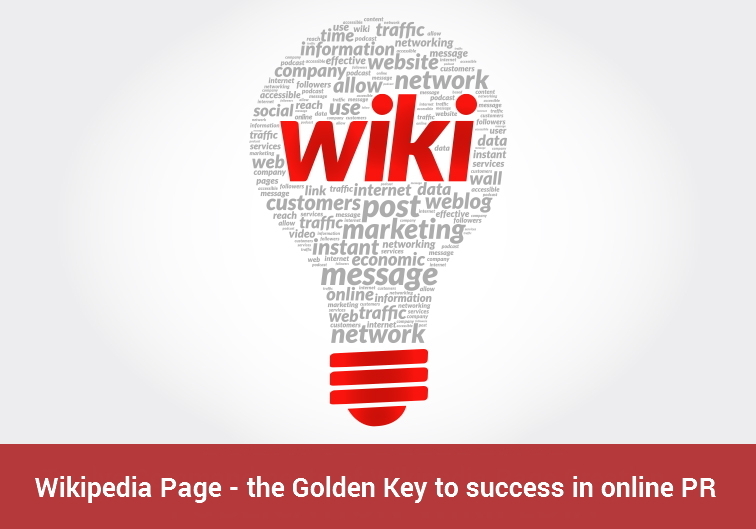 Presently with the introduction of Wikipedia, anyone who can access the internet can use the Wikipedia. It was created by Jimmy Wales & Larry Sanger on 15th January 2001 – the very same year ‘Global Media Insight’ was established. Google started its operations 3 years earlier on 15th September 1997.Being the most used and popular reference publication, Wikipedia is held in great esteem. It’s very common to see people argue based on facts stated by Wikipedia. Who can have a Wikipedia page? As an individual, you can have a Wikipedia page. As a corporate, an NGO or a brand you can also have a Wikipedia page but only a notable entity-can get a Wikipedia page all for itself. Getting a page approved is not that easy. Anyone can create or edit a Wikipedia page, but only very few succeed in getting their Wikipedia page to stick and survive the review process. A notable entity having made worthwhile contributions can aspire to get a Wikipedia Page. The editors of Wikipedia are from around the world. 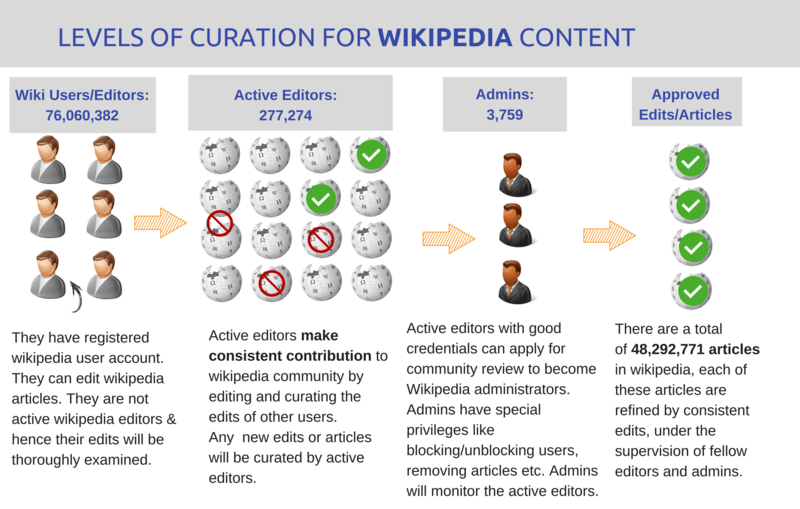 Only a person or an organization who has demonstrated consistent capability in taking decisions and perfectly aligning to Wikipedia’s code of conduct can aspire to get into the exclusive and select fraternity of the Wikipedia editor. The policy framework is so controlled that very effective governance is in place. The framework is so stringent that any lapse by an existing editor is easily identified and the offending editor is pulled up. In cases where the lax behavior continues, action is taken and the editor is expelled after meeting the stipulated requirement. The Wikipedia is a crowd-sourced encyclopaedia, yet the Wikipedia cannot be dominated or controlled by any group or any individual. The Wiki editors and administrators stewarding the reference publication ensure the rules and guidelines are maintained in addition to ensuring a neutral tone. Wikipedia pages ought to be neutral and factual. ‘Thou shall not consider giving it any bias. A good well maintained Wikipedia page will be like a tree planted by the riverside, yielding fruits in every season. Information provided in a Wikipedia page ought to meet editorial guidelines, without which the page is short lived. The more citations the Wikipedia page has with other Wiki pages, it shall grow to maturity not running the risk of being an orphan page. The information provided on the page is for the informational need of the internet user, and not to entice any gullible prospective customer. All information sought to be provided in a new Wikipedia page needs to be factual and well referenced by a respectable online resource. The new Wikipedia page is not a marketing tool, do not consider it to be like your company’s one-page flyer, nor a one-page campaign landing page to trumpet about your company. A well-structured information architecture is well recognized by the Wikipedia editorial board and the page goes on to exist for eternity. Only if you/your company is notable in the eyes of the Wikipedia editors, can the Wikipedia page continue to exist after creation. The Wikipedia page is an encyclopaedia and not a directory-many may try to create a Wikipedia page, but only a few are allowed to exist. Before you start your journey to create a Wikipedia page, be certain that you can prove you deserve a page, rather than why you want one?